Apple’s latest $29 update to OS X Snow Leopard ships this Friday–but will all of your essential applications run when you install it? This application compatibility list is a good place to find out. I’ve been running various builds of the Snow Leopard preview for two months now, and every single one of my most important applications (with the exception of one*) is working just fine. * I happen to use an abandoned beta of Synergy KM to share my mouse and keyboard between my PC and Mac, and its System Preferences pane requires a restart every once in awhile to get it to connect. Overall, a minor annoyance for other worthy updates. Hey Gina, thanks for the tips about Snow Leopard. I am looking forward to installing the upgrade on Friday. Any other Snow Leopard news is welcome! I don’t know how popular it is, but my workplace uses the SecureClient VPN-1 from CheckPoint Software. It worked perfectly in Leopard, but refuses to run under Snow Leopard because “it needs at least Leopard” to run. Seems like a minimal OS check bug, but has kept me from using the VPN from work for the last two months. Luckily this is just my personal laptop. So, something else to note for people upgrading – make sure your VPN client works on Snow! What can you tell us about the upgrade path for Leopard users? Do you know if we will have the option of a clean install with the $29 upgrade? And what about future installs? 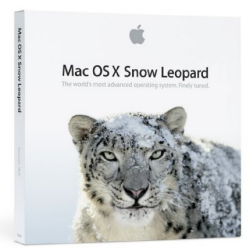 Will there need to be an existing Leopard installation for the Snow Leopard upgrade disk to work? Thanks for this Gina, it’s been very useful. Now I’m even *more* likely to do a day 1 install now that I know quicksilver will work. Are you planning on posting a review of the final dev build or retail release? I’m trying to hold off installing until I’m sure it’ll be stable enough (at least 10.5.4 quality), and your opinion on the matter would greatly affect my decision. Regarding stability, it is pretty solid until you ran out of disk space. But I guess that would happen on any version of OS X. Also if I leave the laptop running the screensaver overnight, it won’t take. If it does, I might sometimes need to hit Detect Displays if I am dual screening because otherwise the Macbook display will stay blank. The rest of the OS is pretty solid. @ShadyPghGuy: Here’s more info re: the Snow Leopard upgrade path. @Hector: Thanks for the VPN client info! That’s really helpful to know. I hadn’t thought about those types of less mainstream (but still essential) applications. I’m sorry to announce that Afloat and PlugSuit will not be compatible with 10.6 at launch. Know that I’ll be right there when a way to make ’em work is found.